Are pleased to announce that the guys taking the time to describe your summer trip on bikes, and are ready to share their impressions of your trip with our other readers, and for one to take part in a contest to win prizes. Alexei Mukhin, a graduate of the CPI, an employee of the company "Ernst & Young"
Bicycle tour 2012 - as it was. She came to me on a cold winter morning, unceremoniously and without knocking right on the head. At first it seemed strange to me, and even shizonutoy, but for some reason my mind and my heart did not want to reject this brazen visit. It was her idea. I certainly wanted to introduce her to another man. This man saw her in the same way as I do - and shizonutoy strange, but also immediately opened it. Soon this man became my friend. It was a spire. After some short period of time, blinded by her unattainable, we were sitting together and route our journey into the unknown. That's a year ago appeared Biking 2011, this summer we just got on the job. Tip of the day: keep your mind and heart open - who knows which guests can pay a visit to you. Bike tour - a test of strength. You check yourself from head to toe in the literal and figurative senses. How do you get over when surrender as you have patience and diligence as sweat ready to shed, Can move in the pack and survive there alone - to such questions can be answered in the campaigns. Yes, of course, until it's mega-trials for many who dare ekstremaly, but we start with a small, quietly conquering new heights. This year we had quite a few, already 11 people. Like it or not, and the more participants in the campaign, the more difficult. More equipment, more opinions and more hungry mouths. But it was nice that everyone thinks primarily about Comrade, and then about himself. Mutual support and respect - without this does not go far, even of super velah. Although this we have had no problems. 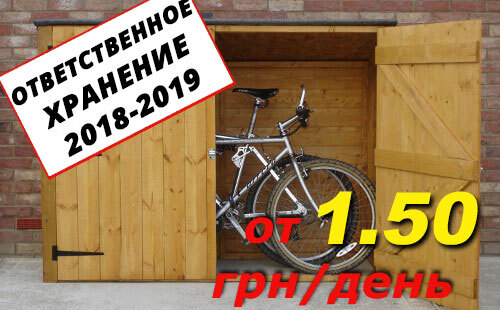 Find reliable bikes, even on such a great team, this year was not a problem, because one call to Veliki.ua - rolling, which became the native from the last cycling trip - and all the equipment is ready for the date. More students and how KPI skidochku made ​​10%. In addition, we talked with the company and the mastermind behind were a little shocked that their goal is not to earn more money, and more to make a bike accessible and popular way to travel, thereby strengthening the health of Ukrainians. Tip of the Day: Testing and train yourself - who knows where life can throw you. On the first day of the plan was to overcome the 60 miles, but going from Simferopol to two in the afternoon, the thought creeps in that this goal is simply unattainable, given that many of the first time in a cycling trip. But as soon as we checked out of the city, immediately appeared confident that we will pass the 60 km in a couple of hours. Map showed that we were about equally go to Alushta - 30 km upstream and 30 km down the divider of the two phases of the route, as it seemed, was to become the village Perevalnoe (because for some reason it is so named). But there it was - Angarsk pass helpful trick. 90% of the time we twisted and pedaled up. There is almost no straight sections, and each turn opens up new horizons for you. And at each stop had brazenly lie group that already descent "vooot-here, for that turn." And in one of those smoke breaks we were right. Seeing the sign "9 km downhill", already wanted to cry. Dressed up, pinned the bright flags CPD and Veliki and moved off. Still had to cry - the speed with which we trotted down eyes just watering. The first day we thoroughly exhausted. Tip of the day: do not give up and be patient - who knows, maybe your downhill very close. Part 4. Qualifications. As shown by the first morning, fast charges - obviously not our strong point. Despite the fact that the great were in very good condition after an aggressive first day, it was necessary to hold a daily morning inspection. We had a lot, and one mechanic explanatory. And of course everyone wanted his attention. And while the sound "Spire, see my brakes! ", "Spire, I have something wrong wheel looks," "Shpilenok, I have not included a third!" ... Someone managed to not only pack, eat oatmeal, put sunscreen on, but also to relax, sunbathe or read a book. A spire is twisted all the time, checking ... pulled up to him for that tremendous thanks. Just a few turns down from our camp we stayed in radiant. There we refreshed and scored some water on the road. Just a few kilometers down - and we're already right next to the sea. The water is cold, but we were just in time to cool us. Well, of course we could not resist the "Honey Baklava" and juicy Solnechnogorskoe chebureks. Waited out the heat and moved off. First puncture and the first fall at speed. Here is when we realized that it has paid off, taking in theaters all helmets. Quickly replaced the camera and has moved to an overnight stay. Owner of the house next door kindly took us in, shared drinking water and family liters of fresh milk. Marus cook delicious pilaf on fire, and trampled all with pleasure. Tip of the day: drink milk - it is just a useful and tasty. The third day. The morning started not very. Some forest dwellers we pulled the floor stick sausage. And then the day went on perekosyak. In the morning we split into two groups, one of which took the name "Clan punctured wheel." Someone, somewhere, did not really want us to go. During this day we had a record number of breakdowns - 11. Sometimes it happens that at the same time on two wheels penetrated. And all because of the small but very nasty rough dry with some trees or bushes. Well, not too lazy to take remnabor with rolled. But with each emergency stop our Skill camera replacement only increased, and the time "pit stops" decreased. And while the group "wheel Pierced" collected all the spines on the Crimean serpentines, the other guys quickly get to the sea, they were more fortunate. Finally, the evening came the moment of reunification and to determine the overnight stay. To replenish the water and find a suitable place for the night, we turned to the locals. That you know, wonder how much "just" they determine the distance - one says that the source of water through five hundred yards, the second - explains that he is just five meters from us. As you may have guessed, we again broke camp with flashlights. Set up tents, dined, taped all the spare chamber and in just minutes have seen colored dreams. Tip of the day: do not mess with the equipment and choose a reliable car. Be independent and self-sufficient - who knows how many high risk of breakage in the cycling trip, if you are closing. Part 6. Ear in sharply. Morning. Sounds team "camp climb!". All are trying hard to meet as soon as possible and move into the path before the sun, and we had to be sure in this day get to Sudak, part of the group was able to leave the next day to Simferopol. Surprisingly, the road to Sudak was quite pleasant, except for headwind. In Koktebel bully not become too big hook would have to give, and did not have much desire. So for dinner we were already in the city, today completed plan. In Sudak again split into two groups and went to the sea to find a place in a convenient, on-cheaper and handsome. Most of the side went to the public beach, and "punched wheel" moved toward Meganom. And then, on the way to the sea, there was something fabulous - in the midst of the unbearable heat Spire remarks on the sidelines of the sign "Chilled watermelon." Words do not pass when under the scorching sun, the fourth day of pedaling you savor this sochnenky holodnenky and watermelon. After the meal, each of us said that it was the most delicious watermelon in his life, even Solnechnogorskoe pasties not pulled such competition. But when we got to the beach itself, we waited for a slight disappointment - the prices for camping and vodichku were normally so high. We are fortunate that Marusya girlfriend worked in a children's camp diving just under Sudak. Good girl Mary kindly put us side by side, well-fed in the evening and won us drinking water. On a positive note, we all lay down to sleep. Tip of the day: Do not forget about old friends - who knows where and when you can meet again. Morning weather portends trouble. So it seemed to us, but we were wrong. Said goodbye to the guys who were leaving home and took their one tent. We're already seven. Returned to the camp and started ... Strong wind and rain, which lasted for almost a day. This is where we checked our tents on the strength, capacity and interesting interior design. Almost the whole day had to sit inside and just shouting jokes with neighboring tents. Between gusts of wind and shower even had time to build a fire and sip a cup or two of hot tea and play a couple of rounds in Alias​​. Naturally, neither of which road to Koktebel speech was not, it's not to twist the pedal, then get out of the tent with it was terrible. The whole day they ate all the same camp next door. Found there three CPD-shnits and even took pictures with them and our flag. In general, to talk about this day and nothing more. Tip of the day: choosing a camp tent, carefully inspect the interior design - who knows how much time you have to look at its walls in bad weather. Part 8. Night from Sunday to Saturday. The night was not very calm - wind whistled, rain poured, and the cold sneaks. Lying in a sleeping bag and think, "What am I even forgot? Brrrr, even if the tent is not claimed. "But in the morning everything is basking in the sun and dried their belongings. No one tent is not claimed, as last year, so that could be put forward to our ultimate goal - Koktebel. Rested and full charge of vivacity, we again reached quickly, in just a couple of hours. Koktebel was coming to the end of the opening preparation Jazz Festival, and in the meantime we crept very close to the main stage, and found there camping. Barely had time to put up tents, as the beach began to hear the sounds of Liapis and his "Rabkor." It turned out that we unknowingly chose campground perfectly audible music from the scene of the festival. Ok, now you can enjoy the beautiful music for free, but still not coming off their tents! Here we spent the last two days of our cycling trip. On the last night we were lying in sleeping bags on the beach and enjoy the concert. Koktebel - a wonderful place. Indeed space, here everyone has their own atmosphere. Mountains, the sea, the stars and the beautiful music. This is a place that many are looking for, in truth paradise. It cost two hundred kilometers pedaling two days of stormy weather and two months of preparation. When we made the route, then could not think how cool we can finish it - a part of me with the frequency of 70 beats per minute did not want to go back. That's so cool we were lucky enough to ride in the summer of 2012. Tip of the day: compose dreams - who knows where they may lead you. Road road traffic us - we went and watched, laughed, dreamed, loved, bathed, rested, listened, smiled, played and memorized. It was unforgettable. Once again thank everyone who was with us morally. 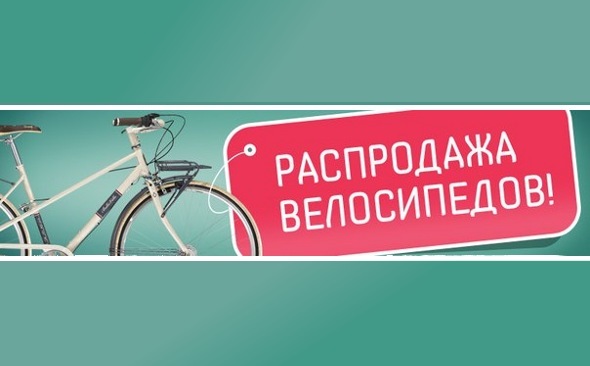 Thanks for Veliki.ua rental bicycles and accessories! Tip of the Day: Live. Love. KPI.